The health benefits of cycling will be as flat as a punctured tire if your bike doesn't fit your body correctly. Poor fit causes all sorts of problems, so it's important to have your bike correctly adjusted specifically for you. "You can't just go someplace and buy a bike because you like the color," says Dr. Callahan, who not only treats sports-related problems but enjoys cycling on weekends. When your bike is too big for your body, you can develop neck and back problems. Seat height is another source of woes—if the seat is too low, it may stress your knee and cause knee cap pain; too high, it can also aggravate your knee. For the right fit, position the seat so that when you pedal downward to the lowest point, your leg is almost straight. There should be a small bend in your knee of about 10 to 15 degrees. 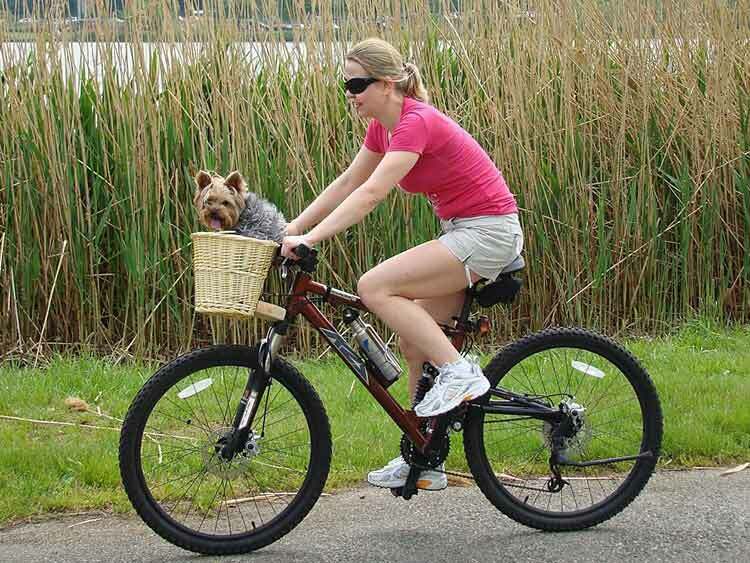 To get a reliable fit, Dr. Callahan advises taking your bike to a bicycle shop and having them assess how well the frame height, seat and handlebars suit you. A few adjustments can make riding more comfortable and protect you from fit-related troubles.